Endurance Life comes back to Beachy Head on 18th March 2017, with nearly 800 runners taking part in 10K, Half-Marathon, Marathon and Ultra Marathon (33.7 miles) race distances. The races start near Birling Gap on Saturday morning from 8am. 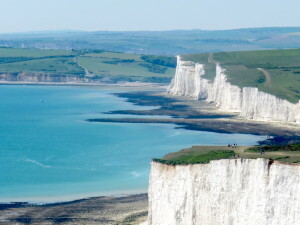 The dramatic coastline around Beachy Head and the Seven Sisters offers runners undulating and at times gruelling terrain. It also provides them with a chance to enjoy beautiful cliff-top scenery and far-reaching sea views. For those who prefer not to take part, spectators can park at Birling Gap, Beachy Head pub or at the Tiger Inn and find a good vantage point from which to cheer on the runners. For further information on the races and previous results or to book your place go to www.endurancelife.com and look for the Sussex Coastal Trail Series.